My kids are so addicted to crepes that I find myself making them for breakfast at least once a week. Since there is no reason why you can't make extra crepes and then refrigerate the pancakes until you need to fill them, crepes can also be a great lunch box idea. 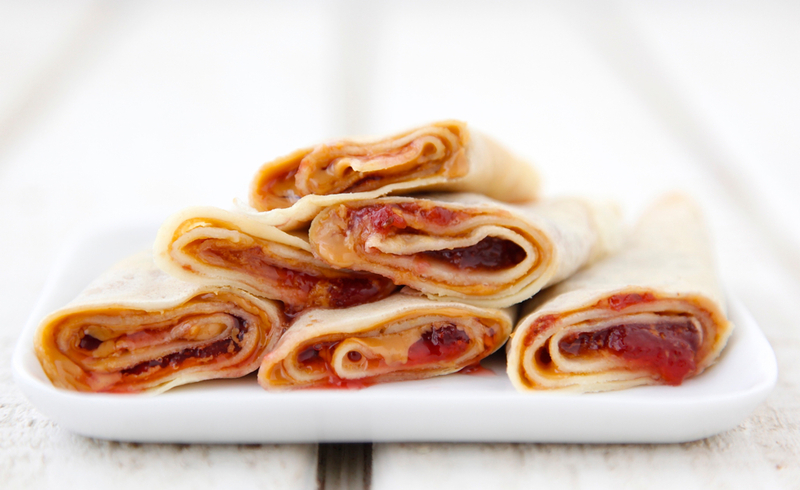 These Peanut Butter and Jelly Crepes are proof of that. These days, if I dare ask my kids before bedtime what they want for breakfast (rather than just making the choice on my own) 9 times of out 10 they will ask me to make my whole wheat or basic crepes. Crepe batter is always best when it gets to sit for a while and I usually make mine the night before. However when Kenya asked me for crepes on the morning of his first day of school this week, I thought it couldn't be done -- yet how could I say no to my boy on such a big day? Much to my surprise I discovered that my quick batter turned out some darn delicious crepes! Even Kenya was impressed. When I have more time, I like to make this crepe batter on a Saturday night to let it sit in the fridge overnight, I also take that time to prep some fillings like strawberries, bananas, PB&J, mushrooms, cheese, and ham. Then on Sunday morning I get to making tons of crepes. I set out the crepes and the many different filling options to make mealtime interactive and fun. I make sure to use Safest Choice Eggs inside the crepe batter and also scramble or fry a few to serve on the side for some added protein for our Sunday morning breakfast. 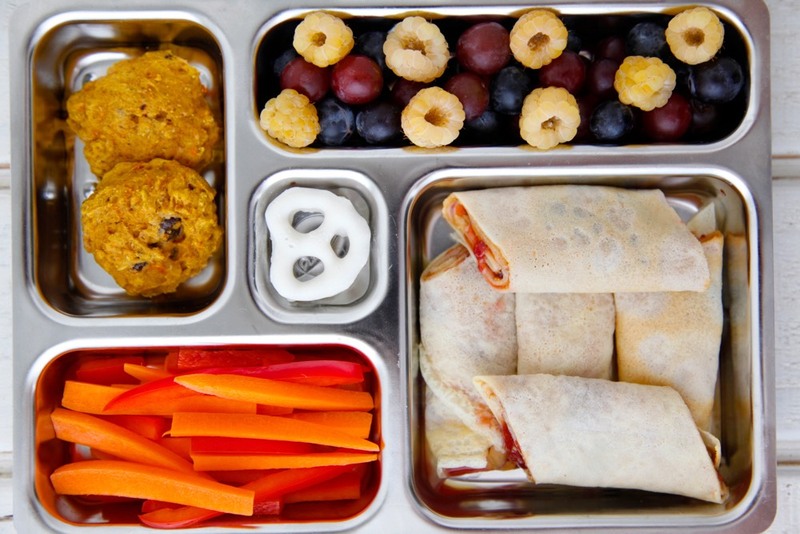 You can use crepes instead of bread for school lunch. 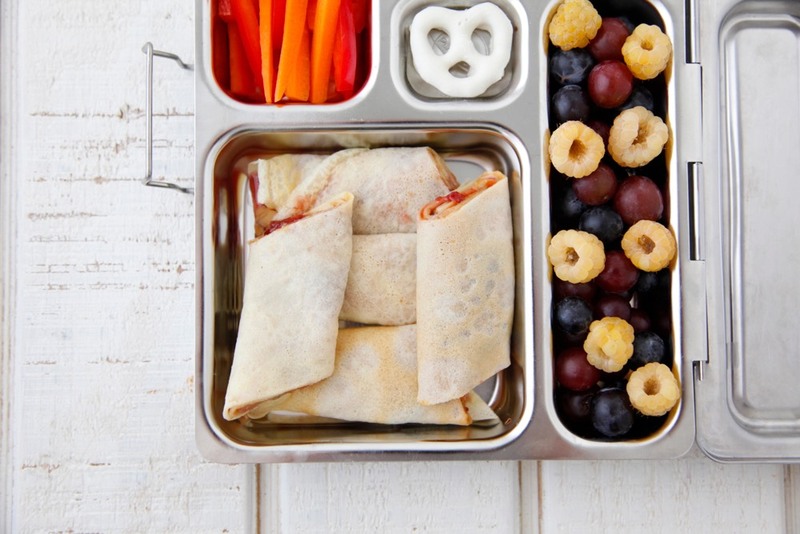 These Peanut Butter and Jelly Crepes are a great way to liven up a lunch box classic and get your kids excited about eating their lunch. You can play with different ways to present them, like folding the crepes into little, easy-to-hold packages or turning them into sandwich roll-ups. They're absolutely delicious no matter how you serve them. Don't feel limited in your choices of nut butters or jellies. Try strawberry, apricot or raspberry preserves to change things up and peanut, almond, cashew or even sunflower butter (the latter being a great substitution for nut-free classrooms). You can even toss some sliced or mashed bananas in for kicks. This is truly the ultimate reimagined PB&J! 2. 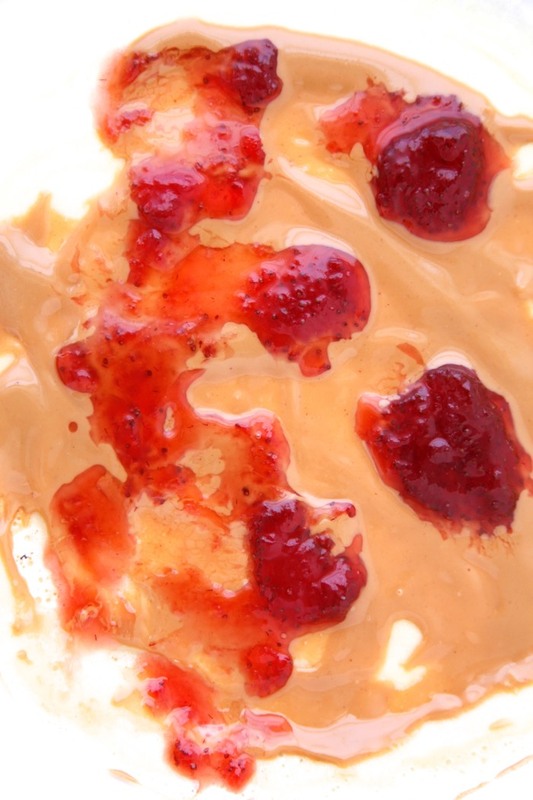 Spread one heaping tablespoon of peanut butter on one crepe and then spread with 1 heaping tablespoon of preserves. 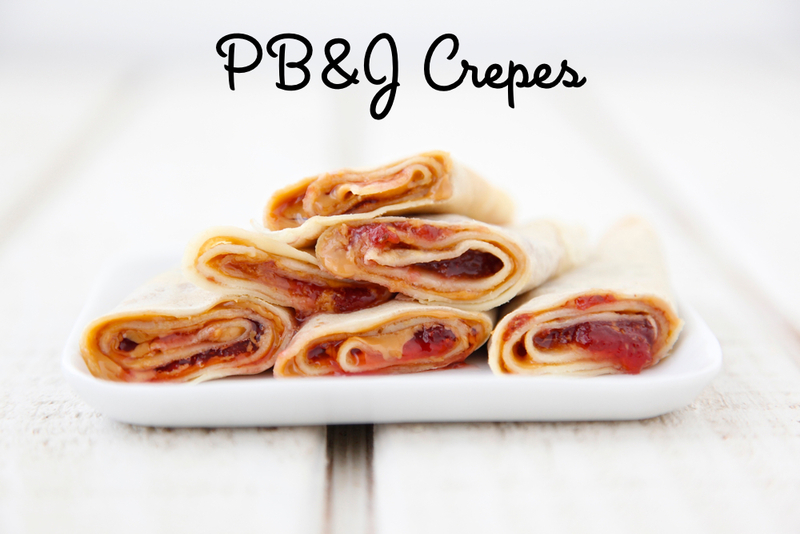 My kids love PB&amp;J and I love the idea of wrapping it up in homemade crepes! Thanks for the tip on being able to store extra ones in the fridge. Next time I make your crepes, I'll have to remember this! This has inspired me to make crepes for the very first time! Here's hoping my family will love them as much as your children do! Such a fun recipe Catherine! Such a fabulous PB&amp;J upgrade! My daughter is in a nut - free classroom and she doesn't care for sunflower butter, so we do cream cheese and jam. I bet it would be great on these crepes! Dont forget for give the ceres or chocochip at the crepes for the much taste of sweet and a cup of honey or sugar before we are eating, cup cup on the honey of the cup.